Jackie epitomizes integrity, energy, hard work, and creative service in every detail of your real estate transaction. Jackie grew up in the Klein, Texas area and started working with her family business in the auction profession for over 20 years. She has used that experience and channeled it over to a successful real estate career. Jackie has been active in the residential real estate market since 2007. Jackie is a member of many associations and organizations. She is a Texas Ambassador and serves on the Conference & Show Committee for the National Auctioneers Association. 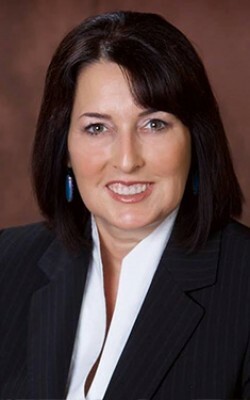 She is a past Board of Director for the Texas Auctioneers Association serving, (2012-2015.) She is a member of the Texas Association of Realtors, The National Association of Realtors, the Houston Association of Realtors, and The Tomball Chamber of Commerce. Jackie is currently attending college at the Lone Star College University Park system and is working towards an Associate of Arts with a Field of Study in Business Degree. She currently resides in Tomball, TX. with her husband of 17 years along with her son. Her hobbies include hunting, fishing, dancing, cooking, crafts, traveling, and spending time with family. 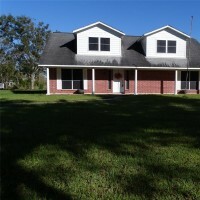 Beautiful THREE bedroom home, located on 15+/- Unrestricted Acreage. Home offers a 1.5 story floor plan with plenty of room and storage space. Enjoy the view from the front porch overlooking rows of majestic pecan trees. Additional amenities include 1,872 SF Barn W/540 SF Lean-To & 1,224 SF Loft, 180 SF Storage Shed, Fully Fenced throughout the property, and Emergency Generac Propane Generator. No representation is made to the validity of the information provided including, but not limited to sq. 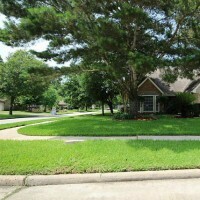 footage, HOA, taxes, schools, etc. Buyer must verify all information-all measurements are approximate. This Home Did Not FLOOD! Schedule an appointment TODAY! Build Your Dream Home Today! 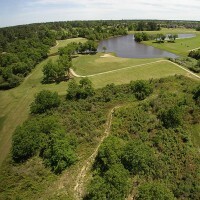 Beautiful Golf Course Lot! Enjoy the gorgeous golf course view overlooking the lake. Fabulous corner lot home that offers recent updates, a double sided fireplace, and an open floor plan. Updates include fresh paint throughout the entire home, some new interior and exterior doors, updated flooring in bathrooms, updated exterior hardiplank & paint-2013, and a back yard patio slab-2014. The refrigerator, washer/ dryer, and BBQ Pit are included with the sale of the home. Don\'t miss out on this wonderful opportunity! Make an appointment Today!!! 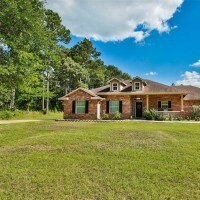 Come view and enjoy this beautiful and secluded custom home located in a wooded cul-de-sac on 1.806 Acres. Home offers wood laminate and tile flooring, granite countertops, spacious kitchen with plenty of cabinet and counter space, front and back porches, oversized rooms, Additional 1200 sq. ft. building/workshop offers plumbing, ac & heat, fully insulated, offers an office and/or storage in the back of the building.